The chiseled profile and super white color of this CAC TUP-B6 Triumph 15 oz. triangular bowl will provide the perfect backdrop for your boldest culinary creations. Create stunning side salads with the freshest garden ingredients or serve warm, savory soups or chili as an appetizer. 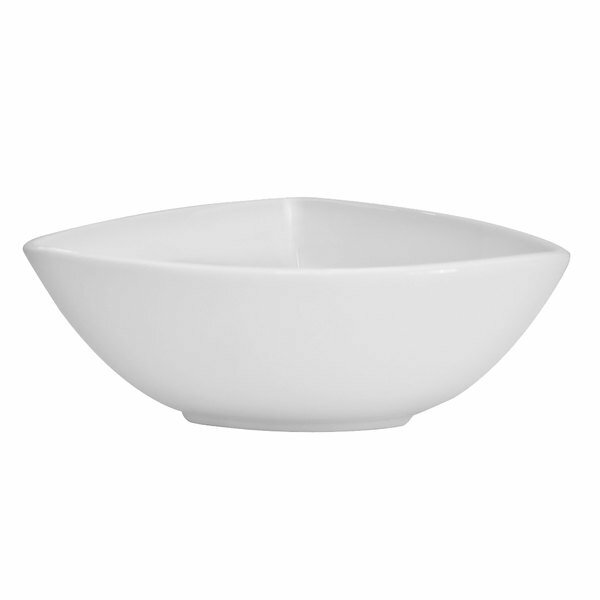 No matter how you use it, this bowl's distinct lines and defined edges will make your dishes pop!